I bought my transparent red VA at Wim Heinz in Sneek (Holland). 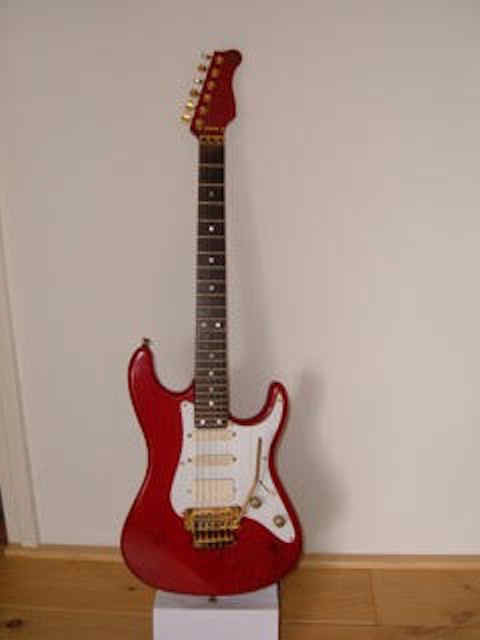 It was the guitar I used for all concerts with the famous Dutch singer Andre Hazes. When he died I played his favorite song (as he wished when still alive) on his funeral ( see video ). The guitar was refretted 2 years ago and is still my favorite axe. If you like I can send you more photo’s. 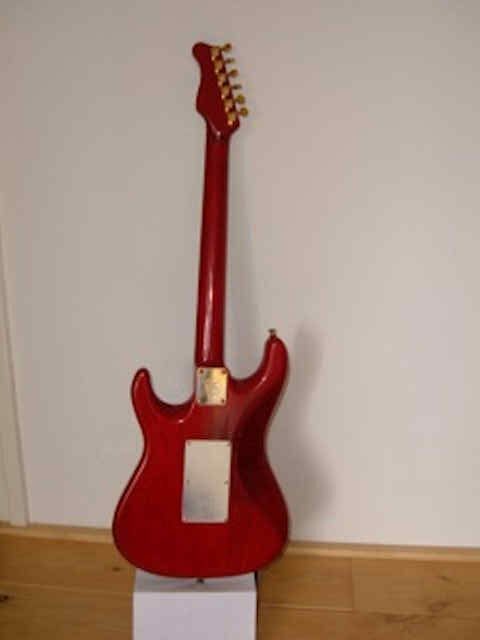 Swamp Ash body, Transparent red, Birdseye maple neck, Rosewood fretboard with 24 frets, Kahler Floyd Rose tremolo, Gold Hardware, Loaded with SA/SA/85 EMG pickups, everything in original and very good condition.